I Want To Lose Weight, But I Can’t Seem to Do It With My Chips and Ice Cream! If you are eating potatoes of any kind (chips included), and you aren’t putting in any exercise, then you will not lose weight. You most likely will gain. Some people think that if food is from Trader Joe’s, that it is good for them. However, if items have flour in them and are processed, no matter where they are from…they are not good for your diet. Some people think that low-fat is good way to diet. I have news for you, NOPE! Read about it online. It is an advertising scam that we all fell for and that is why everyone got fat. We eat low-fat, but they replace things in food to taste good that are high in carbs to make up for it (like Fructose Corn Syrup) and that is the stuff that is making us all fat and getting diabetes. If you read anything that Dr. Mark Hyman writes about in his Blood Sugar Solution, he talks about how you need to eat food that is fresh and covers a wide variety of colors in the rainbow–eat, not juice and drink. 2. Ruffles Potato Chips: 1 ounce bag: 15g of carbs and believe it or not, the light, no fat is more at 17g carbs. 5. Trader Joe’s Multigrain Crackers: 14 crackers: 22g of carbs. 6. Dreyer’s Reduced Fat Slow-Churned Vanilla Ice Cream (12g of sugar or about 4 sugar cubes): for half a cup (have you seen how small half a cup is??? ): 15g of carbs. If you eat it like most people, you are probably eating 1 1/2 cups at 45g of carbs. The three main ingredients of this are all forms of sugar. Fat doesn’t matter! THE REGULAR DREYERS is 16g per half a cup. You are NOT going to keep your weight down with the slow churned REDUCED fat ice cream. 1. There is Breyers Carb Smart Vanilla ice cream and that is a better choice if you have to have ice cream. It is 4g of carbs per half cup. That is a huge difference. 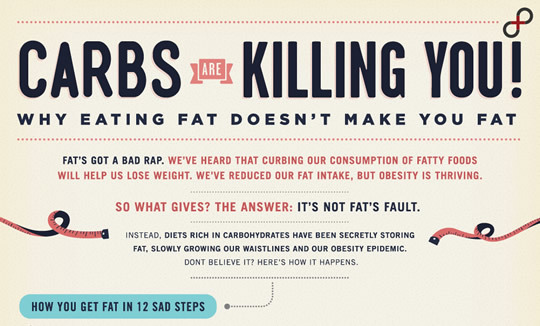 Less carbs means less sugar–less fat on the body. 2. A low-carb tortilla or sandwich bread protein sandwich. 5. A low-carb protein bar or shake. 8. Measured out nuts (look at the label on how many nuts equals how many carbs). Try to keep your snack under 15g of carbs, which is a lot, considering that if you want to lose weight, you must have between 50 and 100g of carbs per day. But, if you have most of them in this one snack, it messes up your whole day. Eat a good protein lunch with salad and veggies so you aren’t starving before dinner and a protein snack will be enough for you until dinner time. (LC) A low-carbohydrate diet minimizes sugars and starches, replacing them with foods rich in protein and healthy fats. (RF) “Real food” means choosing foods that humans had access to throughout evolution. Processed, unnatural foods with artificial chemicals are avoided. LCRF is not a “diet.” It is a way of eating, a lifestyle change based on bulletproof scientific evidence.